This article covers another area in how corsets can affect us positively in a physical, mental and emotional manner, except instead of discussing how corsets affect our confidence through posture, I hope to show you how the deep touch pressure of a corset can induce a calming effect on some wearers. Once again this has less to do with what your figure looks like or how many inches you can cinch down – tightlacing is not mandatory for this to work – this has more to do what level of pressure you personally may find enjoyable. If you would rather watch or listen, feel free to view the video I’ve prepared below. This article is more or less a transcript of the video. It’s widely known that firm touch (deep pressure) tends to calm and relax the recipient, while a superficial/ light touch can excite or agitate – this is an observation made by both occupational therapists who work with people, and also animal workers who deal with mammals such as cows, horses and pigs. You may experience this yourself from day-to-day life where you find that some your pets like being hugged or cuddled (for a short while). This theory is certainly true for me – even as a toddler, I had enjoyed being cuddled (firm pressure), but tickling (light pressure) would induce agitation and anxiety. It’s easy to see how humans, in their day-to-day behaviour, seek out or give deep touch pressure as a way of caring for others or comforting themselves – it’s why we swaddle our babies to calm them down, as it’s thought to mimic the pressure they felt in the womb. We socially seek out hugs from other people, or schedule a massage when we’re feeling stressed. It is customary among some families to tuck their children in at night, which involves wrapping the sheets firmly around the children so it’s difficult to roll around. Some of my old friends like to cocoon or “burrito” themselves in blankets when they sleep. I myself have trouble sleeping unless my blanket is heavy enough. Some people don’t do any of these things, but they like to do other things such as wear tight socks or tie their shoes tightly. Dr. Temple Grandin, Ph.D is a wonderful woman who was herself diagnosed with autism as a child. She remembers as a child being overwhelmed with sensory input, and using deep pressure as a self-therapy to calm down her nervous system. This seems to be common in many autistic children; in that they be observed rolling on the floor wrapped in blankets or mats. Dr. Grandin explains this in her article, “Calming Effects of Deep Touch Pressure in Patients with Autistic Disorder, College Students, and Animals”, and also eloquently shows how deep pressure applied on the body (especially bilaterally, i.e. on left and right sides of the body) through the use of a “squeeze machine” or “hug machine” can help many autistic people relax, calm down their overstimulated nervous system, and possibly over time even become more positively responsive to touch by other people or animals. The squeeze machine is a device wherein the user lays face down inside and is personally in total control of how much pressure the sides of the machine exerts on either side of the body. Depending on the specific type of machine, this may employ a simple pulley system or may be controlled by hydraulics (the machine used in the study employed hydraulic pressure). The user can also choose how much time to spend in this machine, although about 15 minutes seemed to be the duration in this particular article. It has shown to produce feelings of weightlessness, sleepiness, relaxation and de-stressing or comfort in the user. Use of the squeeze machine for 15 minutes a day has been shown to have a positive effect on the temperament of some people diagnosed with autism, ADHD, generalized anxiety disorder or panic attacks or certain types of somatosensory disorders, and can be used as a real form of therapy either in sessions with an occupational therapist, or in the privacy of one’s home. Remember back to my “Corsets, Nerves and Pain” article where I explained the difference between mechanoreceptors (which recognise touch and pressure), and nocireceptors (which make you feel temperature and pain). Certain mechanoreceptors are activated depending on the type of touch you receive, which is how you can discriminate so many different types of pressure, texture, etc. Meissner’s corpuscles are extremely sensitive, and easily activated when one feels light, fluttery motions on the skin. For example, you have a lot of Meissner’s corpuscles in your fingertips and your lips. Pacinian corpusles are slightly less sensitive, and activated with deeper pressure or vibration as they’re usually located deeper in the skin. In the case of sensory integration dysfunction, this habituation doesn’t occur as well (or at all) so a person with this issue may feel and sense every little thing going on around them, causing sensory overload. And during a sensory episode, this person may find themselves hypersensitive to touch to the point that a gentle flutter of their clothing or a soft breeze can be nerve-grating. In these situations, some people find it beneficial to use deep pressure therapy. If they don’t have a therapist around to help calm down their sensory input, or if they don’t own a squeeze machine, they might be able to use a corset (which also has the added benefit of being portable and available at nearly all times). The right type of custom-made corset can give a firm but safe and uniform pressure all throughout the torso from chest to hips. This activates their Pacinian corpuscles, which gives them a feeling of firm pressure at a rate that they can personally control, which they may find calming or soothing. At the same time, a corset can literally provide a barrier between the person and the light fluttering of their clothes, which may help to calm down their nervous system. When I started wearing corsets on a regular basis, it coincided with a rather depressing time in my life – as I had mentioned in previous posts: my confidence wasn’t great, and it was also a time of isolation. I was living away from my family, my workload was such that I barely socialized outside of work or school, the friends that I kept around me were not the hugging type, my relationship was long-distance, and truthfully I didn’t have a lot of human interaction or opportunity to hug people. There’s an old-wives tale that says we need no less than seven hugs a day for good health, and I was perhaps managing a handshake once a day. Maybe that’s one reason that I loved the feeling of a corset so much – while it doesn’t replace human interaction, it provided a persistent hugging feeling that was as strong or as gentle as I wanted, or as long or as short as I wanted, because I had total control of the laces at all times. It was very comforting to me. Nowadays I have much more human interaction and don’t necessarily need the corset as a form of pressure as therapy during isolation, but I still enjoy the cozy feeling it gives. I’ve read several testimonies from women who have reported feeling safer when wearing their corset, following a physical or emotional traumatic experience. Once again, the corset not meant to replace any other form of therapy but may provide a drug-free method of complimenting their therapy. It is also important to note that a corset is not supposed to lead the wearer into a false sense of security or encourage them to get themselves into stupid situations. A corset is not a bulletproof vest, a chastity belt or an invisibility cloak, nor should it be viewed or treated as such. Deep pressure therapy can work on people who are not diagnosed with any of the previously mentioned things – autism, anxiety, sensory disorders, etc. Just like many people enjoy hugs or massages, many people can enjoy deep pressure / corseting without having any underlying diagnosis or issue. It doesn’t work on everyone however, and shouldn’t be expected to work on everyone the exact same way. As Dr. Grandin states, autistic spectrum is very heterogeneous disorder, so what works one autistic person may not work for another. And someone with anxiety may feel claustrophobic in a squeeze machine. And then there are some people who don’t feel calm and relaxed by corseting at all, but they feel that it energizes or stimulates them. What works for one person may not work for another from an enjoyable sensory standpoint. It’s just another reason that some people take to corsets and others don’t. This is why if someone I know tries on a corset for the first time and doesn’t like the feeling, I don’t pressure them into it. Some people may also be comfortable with higher amounts of pressure/ a drastic waist reduction in their corsets, while others are more comfortable with very light pressure/ very small amount of waist reduction. Remember that many people corset for very different reasons, and these reasons are also often very personal. Waist training /extended wear is not a requirement of wearing or owning a corset, nor is tightlacing/ corseting at high reductions. As long as use of a corset is done in a safe and responsible manner, and feels “right” to the wearer, I see nothing wrong with this. Spio Suit – pressure garments made specially for children. Calming Hugs – weighted hug vests and weighted blankets. The Anxiety Wrap – for hyperactive and anxious dogs. Thunder Shirt/ Thunder Vest – to help calm pets during storms, help deal with separation anxiety, etc. How do I order a custom corset for anxiety? Hi Kristin, for a custom corset, check out the Corsetiere Map to see if there are any corset makers who work or live near you – they will be able to give you a personal consultation and fit you in person, which gives you the best fit and you can give feedback on how you like it to fit. Best of luck! Hi Lisa, thanks for your measurements. I’ll send you an email (using the email address you’ve provided with your comment) as my recommendations are always personal and confidential. I’m currently closed for official consultations but I might be able to provide a couple of suggestions. I just do this blog post, & I’m so glad to see I’m not alone in using corsets as a kind of Thundershirt. A year or so ago, I found myself wondering why, at the age of 36, with a full-time “professional” job and a family and pretty much the whole “adult” package, I still found myself going to great lengths to incorporate corsets into my going-out ensembles, and why I freaked out if both of my boned girdles were in the wash when I was getting dressed for work. A co-worker who had experience as a veterinary assistant suggested that I might be using them as my version of a Thunder Shirt (which I admit is something I’d never heard of before). She suggested I check out Dr. Grandin’s work, and it was an absolute *lightbulb* moment. Hello Michelle, I’m so glad that you find my website valuable! It’s amazing how you had the opportunity to study some antique pieces in person – I’ve only done that once, but it’s a fun and amazing experience. Many people, myself included, were initially interested in the aesthetic aspect of corsets, but found that it was useful for so much more than that – I hope you find the same. :) Thank you for your comment! I loves this video! I’ve been looking into corseting for my back then, I found my Temple Grandin video, and thought “I wonder if this works like a squeeze machine” so I looked it up and got excited. I’ve been diagnosed with adult ADHD-Inattentive type, General Anxiety Disorder, and Dysthymia (a type of long lasting depression). I also suffer emotional problems due to past trauma and breakdowns are common for me. Seeing this video has excited me to the possibility of finally being relaxed a bit and less dependent on self medicating with things like Dramamine when I have an episode, which can occur multiple times a day. Thank you, thank you, thank you for this post! Once I have a corset and have seasoned it and worn it for a while I’ll try to update this post! I personally have asperger’s syndrome, and I’ve been looking into deep pressure for a while now. Last week at a convention there was a booth selling high-quality corsets. I decided to try one on, and I couldn’t believe how good/comforting it felt to wear (not to mention what it did for my posture!). Unfortunately, I didn’t have enough money on me to buy one. But I’m definitely planning to. I wasn’t sure why it felt so good to wear at the time. I just figured it was because I’ve always loved old-fashioned clothing. But once I got home I got on the internet and found this article. It was definitely helpful! Thank you for your comment, Brooklyn! I’m very happy that you stumbled across my article, and that you found wearing a corset to be comforting. :) You’re in good company here. Best wishes! I love this article! I began corseting for costumes and was surprised to discover that I felt much more comfortable on-stage with the corset than without. Anxiety runs in my family and I used to have panic attacks and worry late into the night. I, too, have a job with little physical contact, little time for outside friends, and a long-distance relationship. These were really grating on me until I began wearing support garments (Girdle to work, corsets on weekends) that hugged me all day. I am much less stressed, plus my confidence has improved. Close, physical touch is heavily discouraged in modern American society, and while fabric and steel are no substitute for the comfort of someone’s arms, the constant embrace of a support garment really does work wonders! 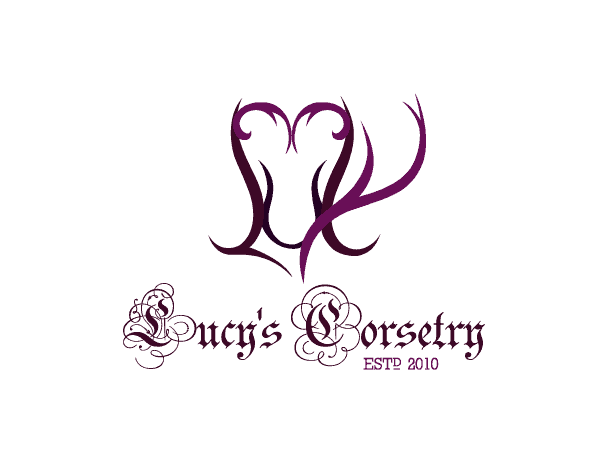 Lucy, thank you kindly for your research and scientific thought into the good of corseting. I am a tightlacer and also currently studying to be an MD. Many friends (who are not in med school) tell me that I’m causing inner organ damage and the sort, which I know from literature/experience that internal organs are very amendable to gradual changes. What is interesting is that many people would jump on the “dangers” of corsets and yet still smoke, not exercise, and eat unhealthy. I believe that people who cites that there are “medical” literature supporting that corsets are unhealthy, should realize that the literature cited is from 1897. That was the period of “X-ray proof underclothing for ladies”, which we realize is silly today. So we can say that the “scientific evidence” is a bit outdated. The point I’m getting at is that corseting is not medically dangerous and in fact very beneficial if used with insight and moderation. As for me, I will continue to corset and sport good posture. Wow! I just started researching corsets – mostly for support. This is so, so timely and fascinating. Ah, how the Bio-Geek in me loves to hear the words “Meissner’s corpuscles” and corsetry in the same presentation! Your videos on how the human body and mind respond to corsetry are my favorites. Your research and personal experience make you one of the few true experts in this field :) As for me, as a Veterinarian, I prescribe deep pressure therapy for my nervous canine patients all the time! From Noise-Related Anxiety (like Leia’s sweetie in the post above), to Separation Anxiety, to Geriatric Canine Cognitive Disorder, a Thunder Shirt/Vest can provide wonderful comfort and relief from distress. I find it so fascinating when therapies like this cross species lines. I’ve always wondered if the “big-cat-squeezed-into-small-box” phenomenon is a variation of deep-pressure related comfort! AH! Yes, “big cat in small box” videos absolutely litter the web, and I’ve never stopped to consider that perhaps the cat behaves that way because it likes being “squeezed” into a small space! That is such a sweet idea! Thank you for sharing your experiences (both for yourself and your pets), it’s really lovely to see how far a ‘hug’ can go. 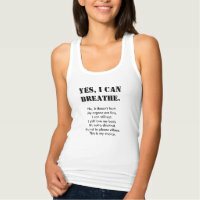 :) I should also add the Thunder Vest to the list a the bottom of the article! Tried a squeeze machine once and couldn’t stand it because I felt trapped, immobilized, and vulnerable. But wearing a corset makes me feel so calm and relaxed. I love it. And it doesn’t diminish my appetite for hugs. Yay hugs. Thank you Janina, I’m glad you liked it! I try to educate my readers so they can logically make sense of what’s happening in the body (and sometimes I learn new things, too!) and hope my posts don’t seem too long or boring (the dreaded tl;dr). So I’m SUPER happy that it piqued your interest and made it more fun for you! I’m sorry you felt a bit claustrophobic in a squeeze machine but very pleased to hear your positive experience with corsets. :D Corset hugs! Lucy, I am so very glad that I found your blog a few months ago. I look forward to all of your posts and have shared several of them with my family which has helped them understand my love for corseting. I have a herniated disc in my thoracic spine, T8&T9 area, and fibromyalgia. I have found in the last few months that my corset gives relief from the constant pain, helps me sleep better at night, gives me more energy during the day and helps me feel better about myself and my appearance since I can no longer exercise, hike, cycle or horseback ride due to my poor health. I am so happy that you referenced Dr. Grandin, she is a remarkable person and has so much knowledge that we could all benefit from. Her Squeeze Machine reminded me of the feel I receive from my corset from the very first time I saw it! My Saint Bernard, St. Kona, also benefits from pressure therapy. St. Kona has extreme thunder anxiety and Dr. Grandin’s Squeeze Machine concept helped me find a product called the Thunder Vest which has helped my girl handle her fear much more calmly and safely. This last year I have also had the opportunity to meet a young man with autism who is now one of my very dear friends. While spending time with him I have learned first hand how deep pressure therapy benefits him when he starts to become stressed or worried about things. If he is able to receive a good strong hug or a strong back rub before his anxiety reaches a certain point, he is able to calm his nerves and relax again so that he may enjoy the rest of his outing. It truly is amazing what touch can do for all living beings. Thank you for sharing this information with us all in your blog. Thanks for putting this into words, Lucy! Wearing my corset moderately tight has always given me that calm, relaxed feeling but I never knew the reasons for it. Good to know it’s not just me. It’s my pleasure Rebecca! My goal is to help people understand different aspects of corseting and help them feel less alone, so I’m really happy this post resonated with you. :) Thank you for your comment! I love this post! It’s really interesting and gives me a lot to think about. I’ve actually never tried a corset before, but I’m really hoping to try some corsets this year and learn more about corsetry in general and as someone who really like the pressure of a heavy blanket & stuff like that, I think I could really take to a corset! Lots of stuff to think about. I am very stressed out at the moment due to house hunting and working 40+ hours/week and I have found that even wearing my current mock-up makes me feel so much better! (I don’t have a properly fitted corset and I think I will have to halt my current project in order to make myself a single layer cincher). Thank you so much for this article! It was a really interesting read from all perspectives biopsychosocial! Oh it’s my pleasure Christine! And absolutely, sometimes when we’re super stressed and there’s no one around to give you a hug, sometimes we need to reach for the next closest thing. :) If you ever have time to add to this from a medical standpoint I’d be so fascinated (and honoured, and flattered) to hear! My daughter spent the first 16 months of her life in a orphanage with very little meaningful physical contact. I see on a daily basis the benefit she now receives from deep pressure input. Deep pressure gives her body awareness and helps her understand her body in space. It helps pull her from her internal focus to engage and focus on the outside world. No corsets,though, 4 1/2 is a little too young :-) Although I did make her a small hip corset. She has orthopedic issue with her hips that cause her extreme instability. She is self determined to walk but struggles because of her structural deficiencies. I basically made the lower half of an Edwardian corset that just covers from her iliac crest to just under her rump. I don’t lace it super tight, just snug enough to create a little pressure to reassure her that her hips are going to stay in their sockets. Her posture corrects along with her stance and stride when she has the mini corset on. It gives her the confidence and support her own body cannot provide yet. Thank you for sharing your experiences! Yes, I definitely agree that 4 1/2 is too young for a full corset but it’s amazing that you’ve been able to help correct/ stabilize her hips. It sounds as though she has a wonderfully patient and understanding mama. :) I’m glad that deep pressure has helped your daughter so much. You’re a great mother. T__T I hope it helps long term!